The Starbucks at 2350 South Grand Blvd. is the sole business in a Community Improvement District, created in 2015. The district is able to charge a 1% sales tax. “We have 14 countries represented here within our six blocks,” said Rachel Witt, executive director of the South Grand Community Improvement District. The CID was approved by more than half of business owners in 2001 and again in 2006. 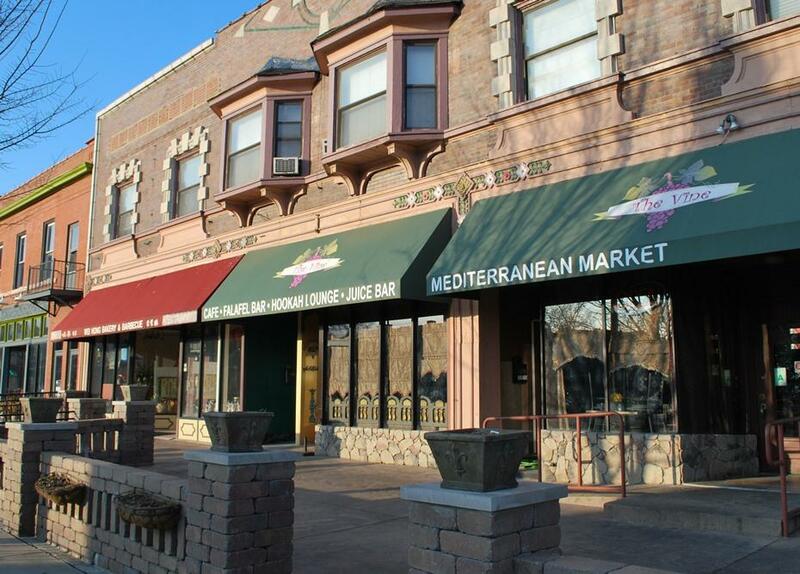 One of several international restaurants in the South Grand Community Improvement District, which stretches six blocks. 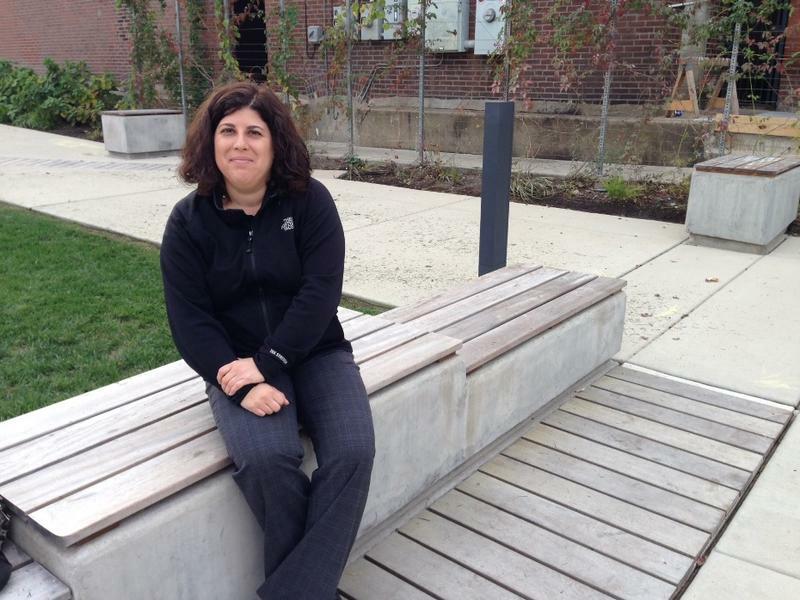 Rachel Witt, executive director of the South Grand Community District, sits in Ritz Park. Back in 2001 property owners voted to create the six-block district, with the primary goals of keeping the area clean and safe. The district’s five-member board, made up of property owners, levied a property tax and a half percent sales tax to cover the costs. Witt said that funding now also covers landscaping, an irrigation system, a small park and security cameras. “It really has elevated this community and this business district, and it’s really why a lot of people have moved to the neighborhood, too,” she said. Yet in St. Louis, multi-block Community Improvement Districts have become the exception, not the rule. 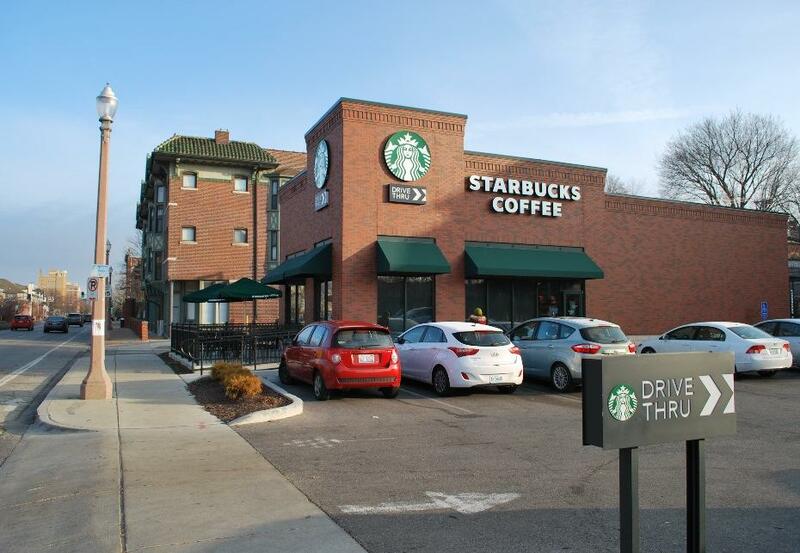 Just up the street at 2350 South Grand Blvd., for instance, a stand-alone Starbucks sits within its own CID. The coffee franchise is able to charge a 1% sales tax with its political subdivision status, bringing the total sales tax to little more than 11%. 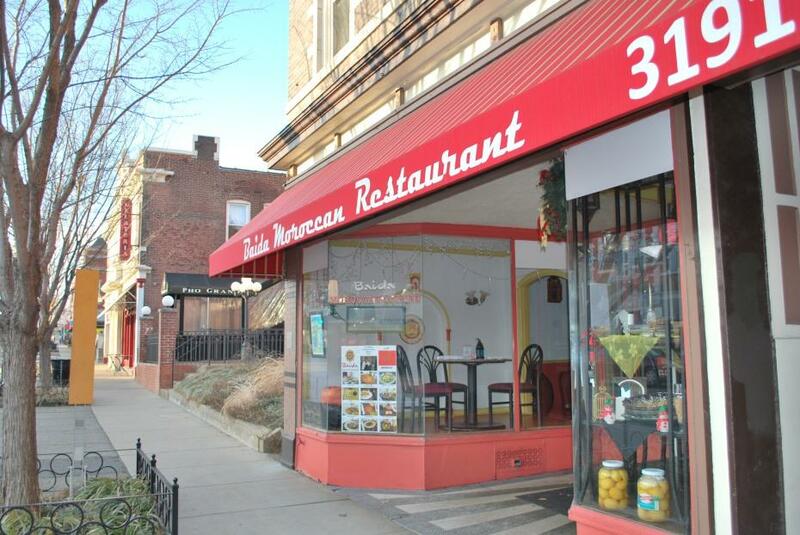 No vote of other business owners or residents was needed to create the 2350 South Grand CID, because no one else is within the district’s tiny footprint. Instead Alderman Steve Conway (8th Ward) sponsored a bill to create the CID, and the Board of Aldermen approved it in 2015. In St. Louis it’s easy to enter into a Community Improvement District without ever knowing it. There are at least 65 CIDs dotting the city, according to the East-West Gateway Council of Governments, which began keeping track in 2011. The latest report said CIDs in the city raised about $22 million in sales taxes from 2006 to 2015. But no signage is required to alert citizens that they’re within a district, even if customers are charged a sales tax. Not all CIDs levy a sales tax. Some are set up as non-profits that are funded only through property taxes or special assessment. Others are political subdivisions that can assess a property tax and/or up to a 1% sales tax. The money, Rocchio said, can be used in myriad ways from sidewalk improvements to holding special events. The CID state statute passed by Missouri legislators in 1998 gives CIDs a lot of latitude. “It also says you can use it for other purposes that would improve the community or be beneficial to the district,” she said. For instance, sometimes CIDs go toward paying back other tax incentives. Last fall the Board of Aldermen approved a CID proposed by developer Paul McKee for a proposed grocery store and gas station on the near north side. A 1% sales tax charged within the small district will go toward paying back about $1 million in Tax Increment Financing McKee also received for the project. Finding information on where CIDs are located, how much tax money they’re raising, and how they’re using those public funds is not always easy. 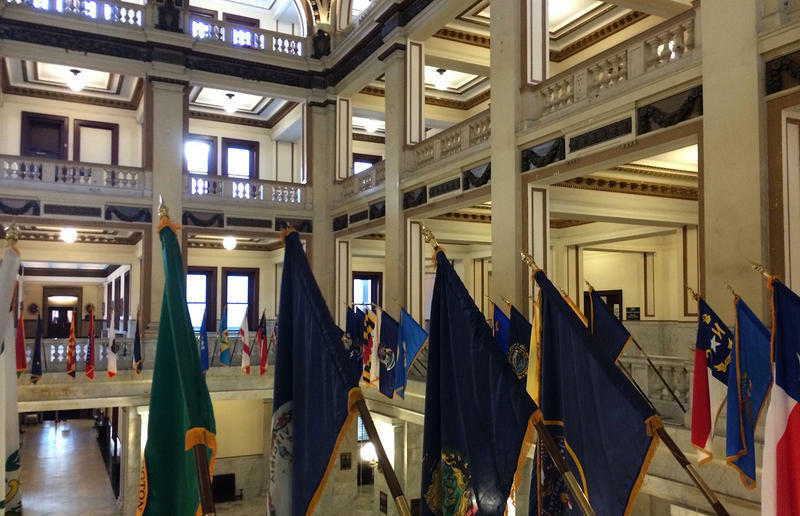 The state statute requires all CIDs to file annual reports with their local government, as well as with the Missouri Department of Economic Development, the State Auditor, and sales tax revenue to the Missouri Department of Revenue. But State Auditor Nicole Galloway said the legislation lacks teeth to enforce those requirements. For instance, her office received annual financial reports from 38 CIDs in St. Louis in the last several years, while the East-West Gateway found at least 65 such districts in the city. The Democrat supported legislation passed last year that toughens penalties for Transportation Development Districts that fail to file reports. Galloway said she would support similar legislation for CIDs. “This is not the Community Improvement District’s money; this is not a certain entity’s money; this is citizen tax dollars either through property tax or sales tax, and so as a citizen you deserve transparency,” Galloway said. But the state auditor does have new flexibility to look into a CID district’s books. Until a new law was passed last year, the only way for her office to do an audit was if registered voters within a CID brought a petition. Oftentimes, there are no voters in a CID. “They were essentially hidden from transparency or accountability. There was no mechanism to allow an audit,” she said. Last fall she announced the audit of two large CID districts in the Kansas City area, and she said she expects there will be more to come. Are CIDs a good tool? It’s not easy to assess whether Community Improvement Districts are living up to their name in St. Louis. The St. Louis Development Corporation, the city’s economic development arm, has no map or official list of CIDs. Executive Director Otis Williams said that’s because state law doesn’t require the districts to pass through his office. Instead they usually go directly before the Board of Aldermen. But Williams said he’ll direct his office to begin keeping track. “It’s outside of our normal chain so we didn’t usually have it, but I think we’ll be the bellwether, if you will, and really try to understand where they are,” he said. There will be plenty for the St. Louis Development Corporation to follow. Just in the last two months several CIDs have been proposed, including within the City Foundry project, Paul McKee’s urgent care facility in the old Pruitt-Igoe site, the Jefferson Arms Redevelopment Project, as well as the Forsyth Associates CID, 501 Olive CID and Cherokee Street CID. For his part, Williams said he would like to see more multi-block districts, similar to the South Grand Community Improvement District. Even so, the economic development official believes developers who seek CIDs for single-site projects need them. “As we look at those single-site projects, particularly in downtown, it was probably very critical in the establishment for the financing package for the project,” Williams said. At the East-West Gateway Council of Governments, Mary Rocchio is more skeptical. She said it’s a challenge for local governments to understand whether a private entity will go ahead without an incentive. But she believes that would be easier to assess if all information about existing districts were available in one central place and tracked.